Over the last couple of years I’ve been quietly collecting British Cycling qualifications and awards as I’m really keen on working with the local community, providing quality training and coaching and delivering fun, quality sessions for all kinds of riders. I’m already a qualified coach but seeing as I’m still partway through the training pathway, I’ve yet to specialise in any one discipline. I was initially hoping to tackle a track coaching qualification after I passed level two, but that was before they shelved the idea of building a velodrome in Torbay and scuppered my plans, bah! So as it stands, the next qualification I’ll be training for is a Mountain Bike Coaching qualification, in autumn – due to my schedule I can’t fit it in any sooner. 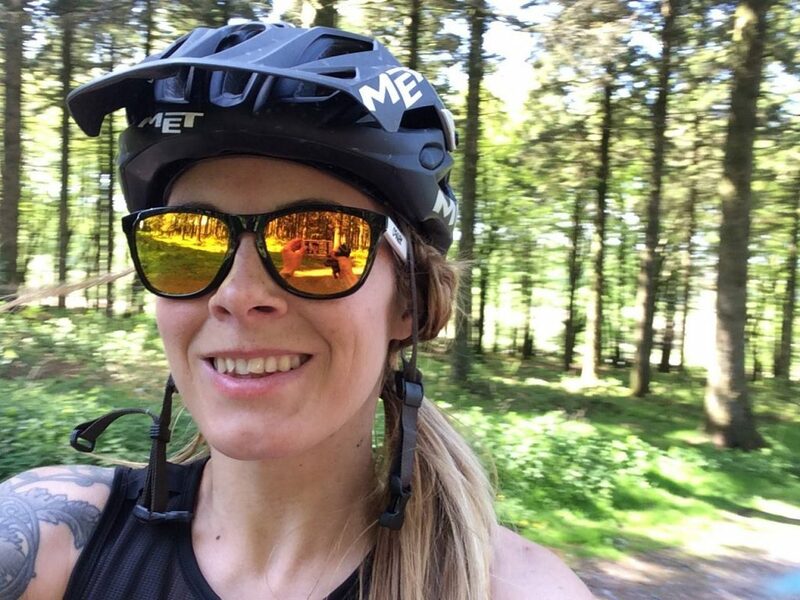 As there’s so much amazing mountain biking right on my doorstep here in Devon, I’ve also taken the opportunity to gain a Mountain Bike Leader qualification. It’s different to a coaching award as it’s more about how to create and deliver enjoyable excursions for groups of riders safely, with an emphasis on route planning, navigation, group leadership and emergency procedures rather than developing riders’ skills. The guys at British Cycling have just featured me on their website, where I explain what the course entails, why I did it and what I hope to do with the qualification. If you’re interested in finding out more about training for a job in the saddle or just fancy taking your pals or local cycling club out for a well planned, safe ride, have a look at the site and see if a Mountain Bike Leader award might be what you’re after. I wrote a detailed overview of what I experienced on my first training day, so click here if you’d like to know what to expect when you turn up to your course.